18th Annual Sterling Classic Now on BikeReg! 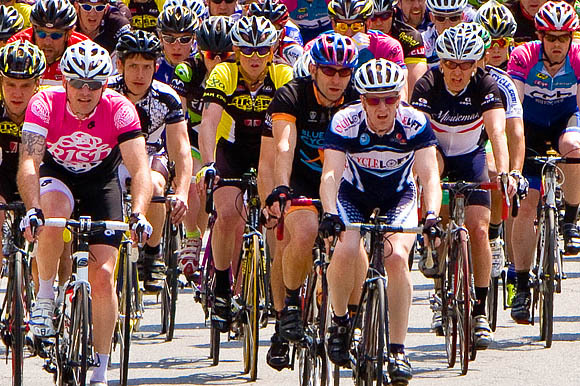 Back for the 18th consecutive year, the Sterling Classic Road race returns on May 12, 2012. The Minuteman Road Club in cooperation with the town of Sterling continue the New England bike racing tradition of competitive racing with a hilltop start/finish, rolling hills, a long straightway on a 2-lane highway and new pavement along North Row Road. 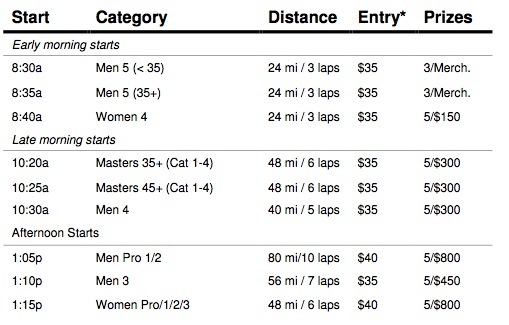 The race is held under a USA Cycling race permit with all rules applying. Register on BikeReg now! >> Conveniently close to the racecourse, The Chocksett Inn & Restaurant is offering a discounted room rate of $89 per night on a first-come-first-served basis. Availability is limited so book early! *Plus BikeReg fees and $5 day of fee. y.o. 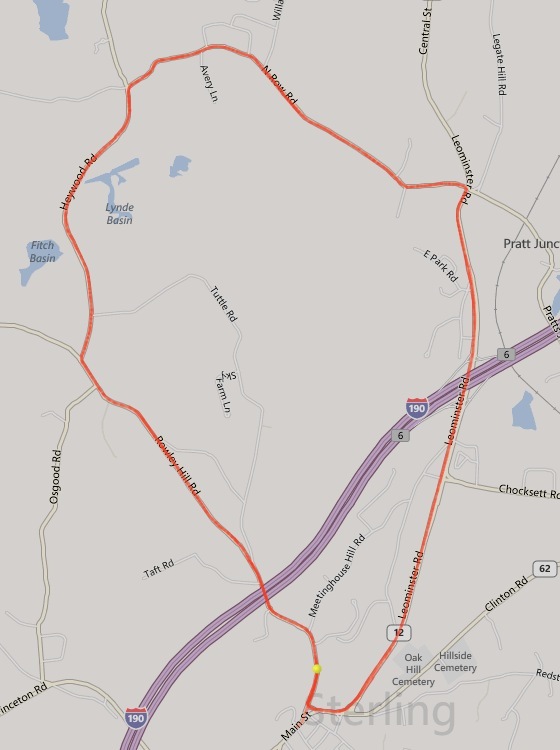 = years old COURSE DETAILS Neutral start from Boutelle Rd to Rt 12 to start/finish on Meetinghouse Hill Rd (which becomes Rowley Hill Rd, right on Heywood Rd, right on N. Row Rd, right on Rt 12, back to Start/Finish. 40 Boutelle Rd, Sterling, MA 01564 View Larger Map IMPORTANT PARKING INFO There should be no parking downtown to competitors or spectators. No one should be parking at the Town Library. You may be towed. The library is open on race day. Parking for spectators is available in the dirt area at 62/12 and also in the breakdown lane on 62, but not near the Post Office or business. REGISTRATION AND START Registration and roll-out will be at the Chocksett Middle School, 40 Boutelle Rd Sterling, MA. There will be a 2 mile neutral start to the start/finish line on Meetinghouse Hill Rd. FIELD LIMITS 100 maximum, 20 minimum; except for Men 5 and Women 4 to 50 max. Promoter reserves the right to combine or cancel any fields that do not meet minimum number. COURSE Approximately 8 mile rolling loop with a hill top finish. TIMING Pioneer Event PromotionsRACE SUPPORT SRAM Neutral Support COMMUNICATIONS Central Massachusetts Public Safety Association, Inc. LODGING Discounted rooms at $89/night available at the Chocksett Inn (978) 422-3355 LOCAL BUSINESS Please patronize the local businesses in downtown Sterling. Please respect their parking for customers. QUESTIONS sterling@minutemanroadclub.com Download the official flyer here.